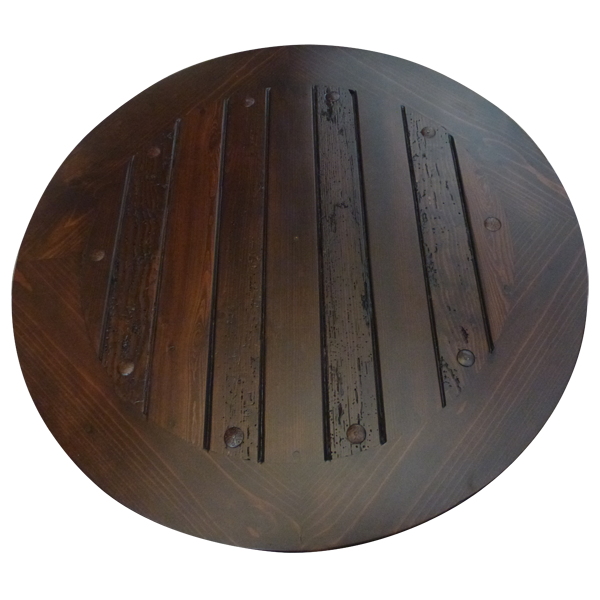 The combination of hand forged iron and darkly finished wood make this handcrafted, Western style coffee table a wonderful option for your home décor. 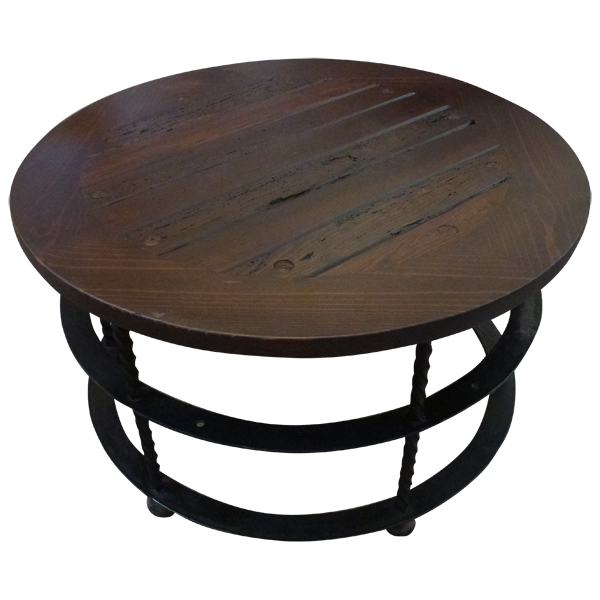 The coffee table features a circular top with a classic, clear top rim. The solid, round, outside border of the top contrast with the spaced, textured, center design of the top. 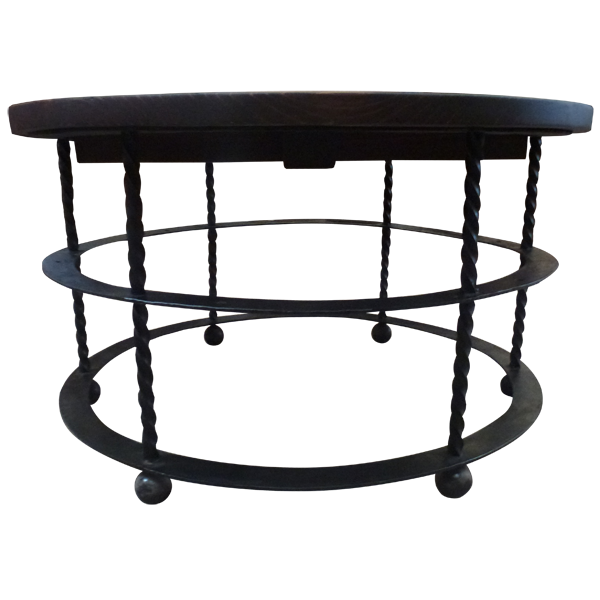 Large, Spanish colonial style, hand forged, nail heads embellish the top. The base is also circular, and the base is made of two horizontal, circular bands of hand forged iron. 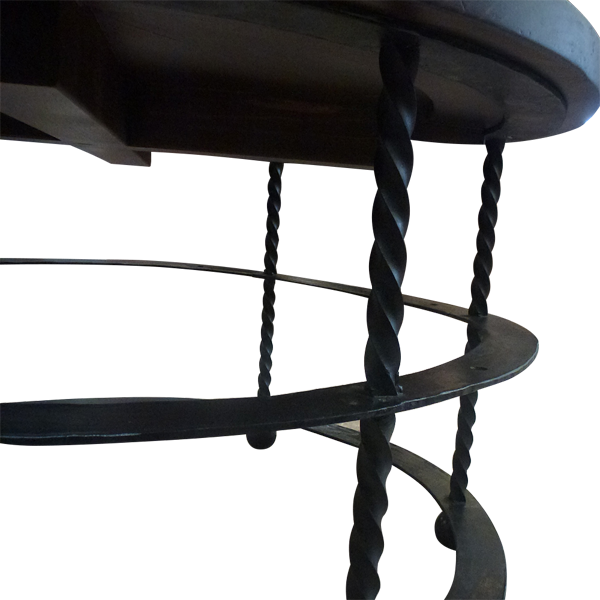 The circular bands are connected and supported by six vertical, hand forged, iron legs, each ending in a hand forged, iron ball foot. All of the hand forged iron work is created in our factory by our skilled, resident blacksmiths. The top of the coffee table has an elegant, dark finish, and the top is made with the best, sustainable, solid wood available. It is 100% customizable.